Between mercurial weather, the daily grind and a million more other responsibilities, we can forget about the amazing places that lie just beyond our doors. As many of you may know, I’ve lived in Paris since July. 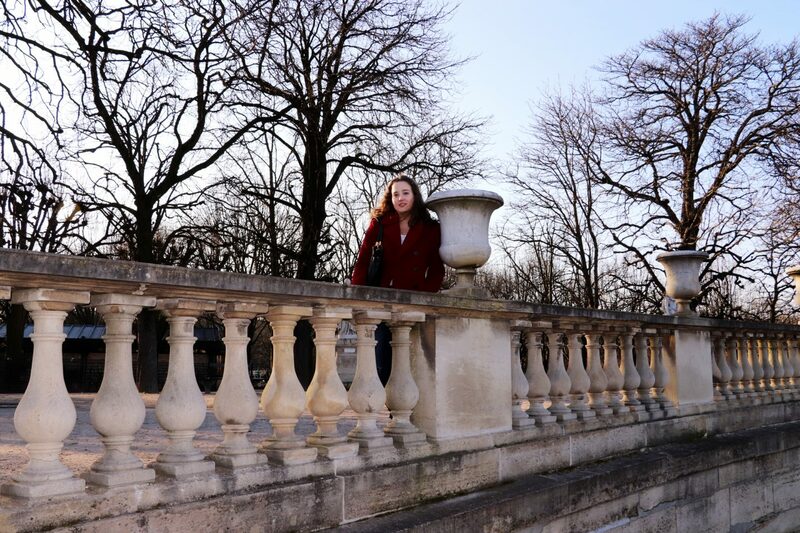 For newcomers, welcome to the musings of an American turned Parisian. Although you’ll find me gallivanting all over Europe, especially in the U.K, which has become a sort of second home. Now back to the city of light, of croissants, fashion and romance. There is a difference between Paris of films, where the weather is always clear and sunny, except when the protagonists is chasing after their lover in the rain, and reality, where you lock yourself out of your apartment right before going on a first date (true story). When deadlines pile up, stress levels rise and your bank account balance is perilously low from the aforementioned 10 euro hot chocolates and croissants, things don’t look so dreamy. The best way to get out of this funk is to see your city through someone else’s eyes. This week I was lucky enough to meet up with childhood friends & blogging pals visiting from all over the world. Eating at perfectly Parisian brasseries, touring around the Luxembourg Gardens in the pale February sun and letting the wonder and magic back in. It reminded me of all of the beauty of this city. Of all the exhibitions, restaurants and neighborhoods I’ve yet to explore. And above all of how fast time flies. So with a little over two months left, I’m firmly head over heels again & determined to make the most of it. So here’s my challenge to you lovelies: go out and see your city. Go to that restaurant or museum exhibit you’ve been meaning to for ages. Brave the crowds, and the stuffy public transport and revel in it all. Fall in love, again and again. You are too sweet, I’m so happy you enjoyed the post! Beautiful post! You really inspire me to make the most out of living in London and to expore more! Thank you for the inspirational words! And your blazer is amazing! Thanks gorgeous, I had a wonderful time meeting up with you in London. It’s a marvelous city and one I hope treats you well!